Pierre Koenig (October 17, 1925 – April 4, 2004) was an American architect. Born in San Francisco, he received his B.Arch. in 1952 from the University of Southern California. Koenig worked with Raphael Soriano, among others, and began private practice in 1952. Koenig practiced mainly on the west coast and was most notable for the design of the Case Study Houses No. 21 and 22 in 1960. Both 21 (the Bailey House) and 22 (the Stahl House) were constructed on dramatic, otherwise-unbuildable sites. Pierre Koenig was born in San Francisco on October 17, 1925. Even as a boy, Koenig displayed a nascent interest in architecture and Modernism. In 1939, the family moved to San Gabriel, a Los Angeles suburb, and here, among a new group of friends who also wanted to be architects, Koenig's earlier interest crystallized. Yet World War II loomed, and at age 17 Koenig enlisted in the United States Army Advanced Special Training Program, which offered a compressed 4-year college degree in 2 years. However, in 1943 the program was abruptly ended and after only one semester of study at the University of Utah, School of Engineering, Koenig was sent to basic training. From 1943-1946, Koenig served on the front lines in France and Germany as a flash ranging observer, spotting enemy fire and calculating their position, with the 292nd Field Artillery Observation Battalion. After the war, Koenig returned to Los Angeles and applied to the University of Southern California (USC), School of Architecture. Due the influx of returning GIs, there was a two-year waiting list for admission, and Koenig spent this time studying at Pasadena City College until he was finally admitted to USC in 1948. At this time, USC was the leading architectural school in California, and a hotbed of new ideas brought about by the aftermath of the war: ideas about how architecture should respond to social issues, such as the population boom in Los Angeles and the need for low-cost housing, and ideas about how to apply the new materials and industrialized techniques of the wartime economy, such as mass-production and pre-fabrication, to peacetime. Although Koenig struggled somewhat within the strictures of a traditional academic framework, he certainly absorbed the new ideas surrounding him, and they would continue to guide him throughout his career. After receiving his B.Arch in 1952, Koenig worked both independently and for a number of other architectural practices. In fact, Koenig had begun designing and building houses while still a student. When a USC studio instructor rejected his design for a steel house, questioning the applicability of steel to residential architecture, Koenig decided to prove him wrong. His response, Koenig House No. 1, designed and built by Koenig in 1950, was constructed at a cost lower than a traditional wood frame structure and earned him the American Institute of Architects' "House and Home" Award of Merit. After graduation, Koenig would design and build three more steel houses in rapid succession. During this period he also worked for other practices, both to supplement his income and for the professional experience required before taking the California licensing exam. In 1950, the same year he built his first house, Koenig worked as a draftsman for Raphael Soriano, who shared his interest in steel, doing the presentation renderings for Soriano's unnumbered Case Study House. Koenig subsequently worked for brief periods for Candreva and Jarrett, Edward H. Fickett, Kistner, Wright and Wright, and finally in 1956 for Jones and Emmons, on the Eichler X-100 steel model. Also in this period, Koenig began a short-lived furniture business, designing and building modern case goods. 1957 was a watershed year for Pierre Koenig. He was licensed; he received his first invitation to participate in an international exhibition, the São Paulo Biennial; and Arts and Architecture magazine published his designs for a "Low-cost Production House" exemplifying his goal to produce "off-the-shelf" houses as efficiently as automobiles. Most importantly though John Entenza invited him to participate in Art and Architecture's Case Study House Program. Case Study House # 21, immediately followed by Case Study House # 22, defined Koenig's style and brought him great attention. With their steel construction, open-planning, and emphasis on the unity of nature and architecture, these two steel houses exemplified the California aesthetic as being different from East Coast Modernism. Despite their conceptual similarities, the two houses were quite different from one another. Case Study House # 22, which quickly came to be seen as the perfect manifestation of modernity in Los Angeles and of life in post-war America in general, was a unique custom house, an exercise in overcoming the engineering issues of a near vertical site. Case Study House #21, on the other hand, was meant to be a prototype for affordable, mass-producible housing, an embodiment of Koenig ’s belief in architecture as a social study. 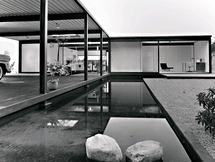 After this early recognition, Koenig went on to have a long and prolific career as an architect, designing and building over forty-three steel and glass houses, including award-winning structures, such as Schwartz House and Koenig House No. 2, as well as many residential additions and renovations and commercial buildings. Throughout his long years of architectural practice Koenig never relinquished the principles that led him to design and build his first house. He retained a sense of mission, never losing his commitment to the social agenda of Modernism. He truly believed that he could make people's lives better through architecture. In addition to his architectural practice, Koenig was passionate about teaching. 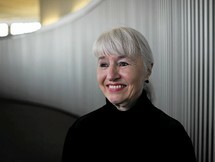 In 1964, Koenig officially joined the faculty of the USC School of Architecture as an assistant professor, having worked as an instructor there since 1961. He gained tenure and promotion to Associate Professor in 1970 and then to Full Professor in 1997. Along with his teaching load, Koenig filled a variety of administrative roles during his many years at USC including serving as Assistant Director of the Institute of Building Research, and Director and Founder of both the Natural Forces Laboratory and the undergraduate Building Science Program. Koenig's work has had a tremendous impact on contemporary architects worldwide. He was elected to the College of Fellows of the American Institute of Architects in 1971 and named an Honorary Fellow of the Royal Institute of British Architects in 2000. His work has received numerous awards and has been celebrated in over one thousand journal and periodical articles and more than seventy books. Exhibits in cities around the world have featured his architecture. In 1989, a landmark exhibition, Blueprints for Modern Living: History and Legacy of the Case Study Houses, held at the Los Angeles Museum of Contemporary Art, included a full-scale walk-through model of Case Study House #22. 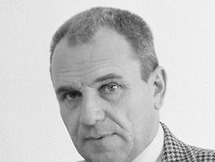 Pierre Koenig remained active in both his architectural practice and his teaching until shortly before his death in April 2004.